Those among the readers who are Catholics will agree with me that catechetical teachings in childhood can continue to be cumbersome on a person’s conscience even after one has undergone this phase called growing up. Especially the sort taught back in the sixties when I was a kid or even earlier, there was just too much talk of fire and brimstone that one invariably grew up living in fear of going astray and meeting the horned beast. Even when one eventually underwent higher education, which provided myriad new ideas many of which challenged these very same catechetical teachings, one did not completely outgrow what one was taught in childhood; and many of these became something like hang-ups. In my case, one such hang-up that I am still trying to overcome is an aversion to cremation. All Catholics subscribe to the notion of Jesus Christ returning at the end of days to judge the living and the dead, the belief in this of which is pledged with every repetition of the Apostles’ Creed. Corollary to this belief used to be the practice of burying the dead. Indeed, when the Lord Jesus Christ upon His triumphant return summons the dead to rise from their graves, will it not be a tad inconvenient if one was eaten by a lion and pooped onto the earth? So thus, as children we grew up believing that anyone laid to rest was, in fact, doing exactly that – resting until the return of the Lord Jesus Christ. One did not attempt to rationalise the belief; although everyone also knew that the dead as a matter of course would decompose. If Jesus could raise Lazarus from the dead, then the rest of us would not be problematical, either. Cremation, we were taught, was not acceptable to the Church. To our juvenile minds, this was because the dead all have to be at their graves for the Lord to be able to raise them. 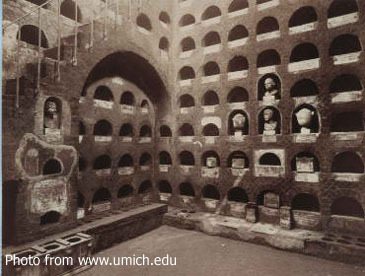 In fact, the Catholic Church’s ban on cremation was not only premised on this belief – i.e. the Resurrection – but also the belief that the human body is the temple of the Holy Spirit. Moreover, the official view before was that cremation was a ritual that was pagan in origins and was performed in denial of the Resurrection. The ban was first eased in 1963 when the Vatican issued an official instruction that lifted the ban in certain circumstances on the assumption that cremation was not chosen in denial of Christian beliefs. For instance, if the economic costs in transporting a body from one place to another was prohibitive, then cremation was a perfectly acceptable choice. Until 1997, the cremation of a body had to be done only after the committal rites, the short prayer that committed the body of the deceased to its resting place while it awaited the coming of the Lord Jesus Christ for the Resurrection. This provision has since been eased and committal rites may now be performed in the presence of the cremated remains. To this day, the Catholic Church continues to express a preference for burial over cremation even though an increasing number of the faithful is opting for the latter. Cremated remains are still expected to be preserved for the Resurrection in a mausoleum or columbarium or buried in a cemetery. 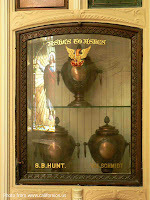 Keeping the remains of the deceased in a decorative urn inside the household is not an acceptable Catholic practice. I suppose, when I come to think about it, there is not much difference to a body decomposed by bacteria or one cremated. Ashes to ashes; dust to dust, indeed it is said. At the end of the day, it is up to the Lord Jesus Christ to figure out the how to; and He is God.